After cooking some dishes with a high content of egg whites – meringue, cream and biscuits – still a large number of egg yolks and some Housewives are being lost, not knowing what to do with them. Egg yolks contain less water, but more fat. At the same time, they are more aromatic and have a more thick consistency, which is why they are perfect for thickening sauces, custard. 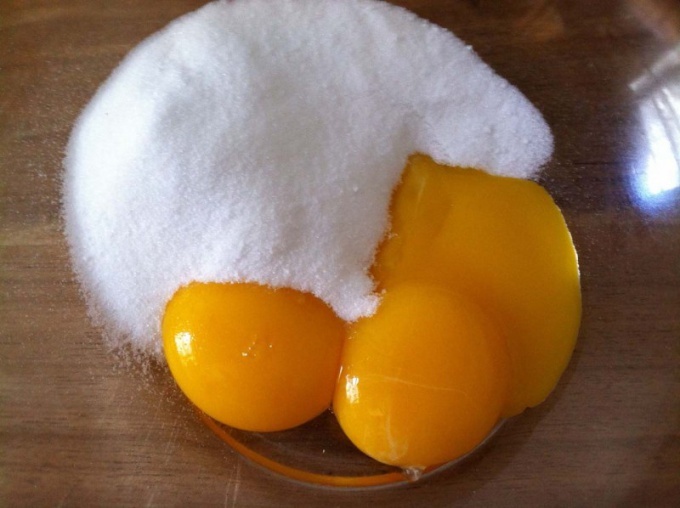 The dough kneaded on the yolks will be bright and more rich taste. Egg yolks can be stored in an airtight container in the refrigerator for no longer than 5 days. To store them longer, you should freeze the yolks but not easy, and mixing with one tablespoon of sugar or salt for every 500 ml of the product. Melt the butter in a saucepan over low heat, when butter begins to foam, remove the saucepan from the heat. Wait until milk protein has settled to the bottom, strain the oil through a sieve. Pour the vinegar in another small saucepan, add the chopped shallots, tarragon, and bring over medium heat to a boil. Wait until the vinegar is half boiled. Also, strain and set aside to cool. Whisk the egg yolks, add them to the cooled vinegar and pour the lemon juice. Pour the sauce into a bowl, set it in a pot of boiling water. Whisk the sauce until it thickens, remove from heat and, still whisking, pour the melted filtered butter. When the sauce is smooth, season with pepper and salt. Custard pastry cream is difficult to imagine without the yolks. The classic French dessert creme brulee is so silky, it is because of them, put the yolks in creme brulee and Sabayon, real ice cream is done on the basis of egg yolks. Try to cook a delicate lemon curd, perfect for filling in tarts and tartlets, and for layer cakes and pastries. Popular opinion is that the color of the yolk is evidence of its freshness is a myth. This factor is affected by the breed of the chicken, its diet and the time of year that she laid an egg. Remove the lemon zest, squeeze the juice, put both in a pot, add sugar and butter. In another wide pan ( a deep pan) bring to boil the water, put a smaller container in the boiling water and cook, stirring, until the butter is melted. Whisk the egg yolks until whitening, and enter into the cream, continuing to interfere. Cook for another 12-15 minutes, until the dessert thickens. Remove from the heat and cool, continuing to interfere. Ready cream put in sterilized jars and store in the refrigerator.